The Permagarden method draws from permaculture and bio-intensive agriculture to create a climate-smart approach to home gardening. 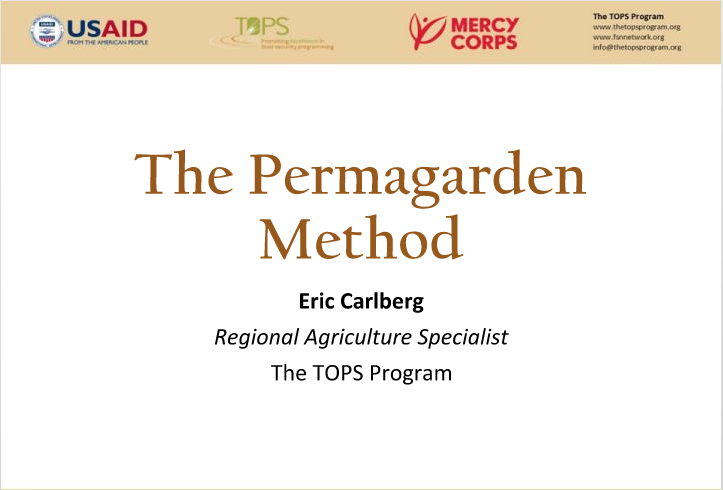 The method combines sustainable agriculture practices from several approaches and movements and teaches how to design and integrate multiple agricultural practices in order to increase production and create a more resilient garden. While it can be implemented anywhere; it was specifically developed for low-resource, dryland areas.